Near Infrared Dryers (or NIR Dryers) are making a huge splash in the variable inkjet industry right now. The technology stems from the idea that black inks will absorb certain wavelengths very rapidly. So less energy is wasted when emitting more of that specific wavelength because there's less 'spill-over' of the heat and forced air. In our own tests on the NIR inkjet dryers, using high speed mail equipment addressers, we were able to use less energy, yet still increase the production speed by 30% - 50%! The NIR inkjet heaters thus proved that Near-Infrared dryer technology is a more efficient (which means more profitable) way to dry ink in the mailing equipment setting. We offer a variety of near-infrared heaters, including Adphos and Fannon. 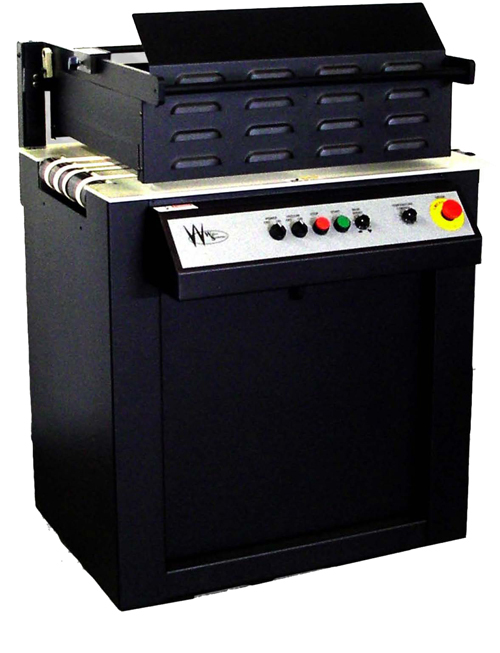 Also, look keep watching our used direct mail equipment section to see if we have any used near-infrared dryers for sale.